If you feel embarrassed because missing teeth make your smile look incomplete or limit your ability to talk, eat, or laugh, dental implants let you, not your teeth, lead your life. And for many people, the permanence and stability of dental implants make them an obvious choice versus dentures. 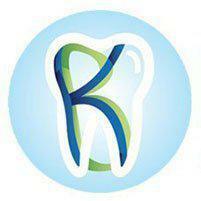 If you need to replace your missing teeth, visit Dr. Kainaz Byramjee at K.B. Family Dental in Renton, Washington. She can help you find out if dental implants are right for you, so call or click to make an appointment today. A dental implant is a metal device that Dr. Byramjee can install in your jawbone to act as an anchor for artificial teeth, including crowns and bridges. Dental implants work as artificial tooth roots and are made of titanium to enable it to hold full or partial dentures. They’re even designed to blend in with your existing teeth and give your smile a natural appearance. Dental implants are an excellent option for patients who either can’t wear ordinary bridges and dentures or find them uncomfortable. Because dental implants fuse to your jaw bone, they allow you to eat and speak without experiencing prosthetic movement. What should you expect during a dental implant procedure? Dr. Byramjee uses the latest equipment to perform your dental implant surgery in stages. That, plus her 18 years of dental experience, enables her to provide you with personal care and relieve your dental anxiety. Dr. Byramjee begins by cutting through your gums to expose your jaw bone. Doing so enables her to drill a hole and insert the dental implants. After removing your stitches about a week later, Dr. Byramjee leaves you to heal for several months. If you receive dental implants on your upper jaw, your waiting period is five to six months. If Dr. Byramjee installs them in your lower jaw, your wait is three or four months. At that time, your implant is exposed, and a metal healing cap is placed into the implant to act as a collar. Two to three weeks later, a crown or bridge is constructed for the collar. Once completed, Dr. Byramjee attaches it and completes the dental implant process. To ensure the long-term success of your dental implants and to keep them clean and plaque free, brush and floss them like your regular teeth, and be sure to visit Dr. Byramjee every six months. To start the dental implant process promptly with Dr. Byramjee at K.B. Family Dental, call or make an appointment online today.